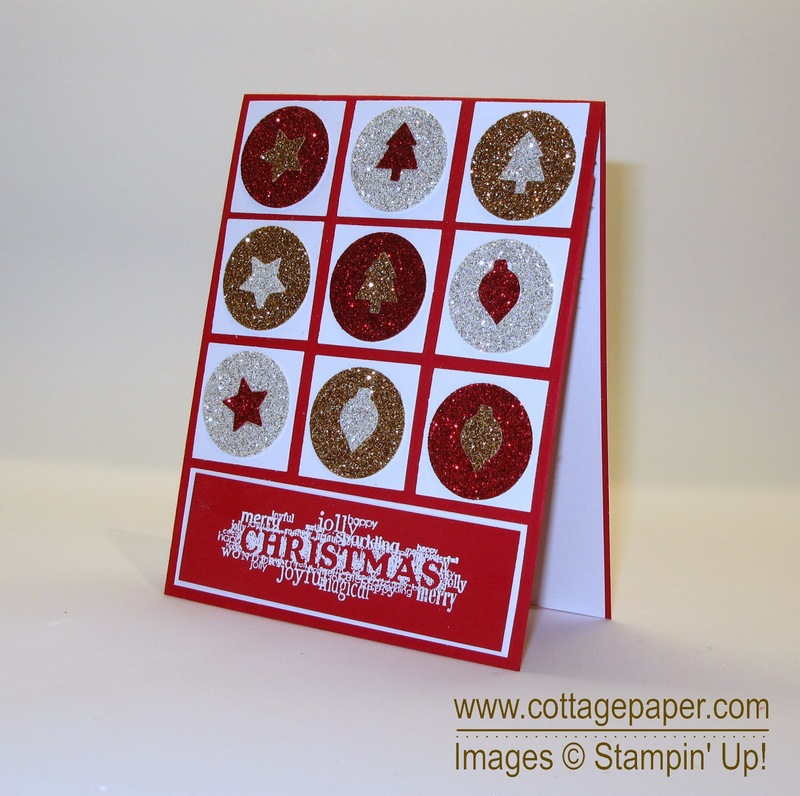 Cottage Paper: More Great Buys from Stampin' Up! 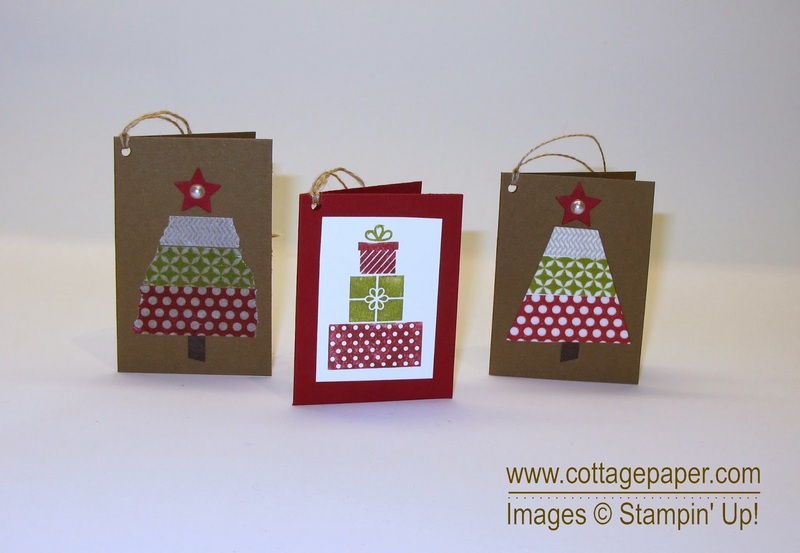 If you are still looking for supplies for all your holiday papercrafting projects Stampin' Up! has one more great opportunity for you! On Tuesday morning at 1:00 AM at CST they will restock the Clearance Rack with all kinds of goodies!! If you have never shopped the Clearance Rack you need to go see what is available. Unfortunately I can't tell you exactly what items will be added since I will find out at the same time you do - but I can tell you there will be some great items you will want to have and they will be at some great prices! There will be stamps, cardstock, Designer Series Paper, punches, buttons, embossing folders, ribbon and more. How do I know all of these items will be there? Because they are there now!! Plus there will be even more on Tuesday morning! Click here to go straight to the Clearance Rack. While you are there remember that Valentines Day is not far off and currently there is a number of great items listed that are specifically for Valentine papercrafting. Another great, easy holiday papercrafting idea is to make packaging tags. Many of the ideas for cards can be scaled down and used to make gift tags and which can be made very quickly! Here are some quick tags I made with washi tape. Washi tape is very versatile. It can be an addition to a card or used to make the entire card. Plus it can be used to wrap the gift itself! I generally wrap my gifts in wrapping paper that looks like Kraft paper (Kraft shipping paper is usually too heavy) and washi tape looks great on the packages. The tag on the left was made by tearing the tape and adhering it directly to the tag. The tag on the right was made by adhering the pieces of tape to a piece of white paper and then cutting the sides into a tree shape. The tag in the middle was easily made using two markers to color just one stamp. Don't forget to check out the Weekly Deals before you place your order. Go to the Stampin Up store and click on Weekly Deals. Note that they change every Tuesday. What cute projects! A great way to showcase glimmer paper and the punch pack.